You’ve GOT to read the DOT comments, it’s a better job of explaining the issues I had with how they framed it — lumping everything in together and then non-response “answers” to the questions presented. Parties are encouraged to correct facts only and not to view this process as another opportunity to brief the case or participate in argumentative discourse. This is it, last chance, so here we go!! Time to dig up every factoid that supports our positions, hey, we can do that! 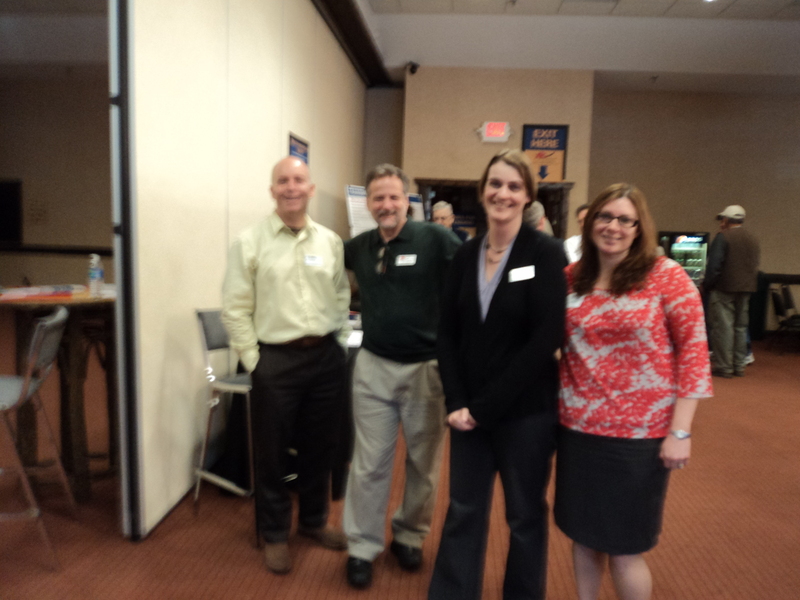 This week and next — ATC is holding open houses for its Badger-Coulee line this week and next! April 17-19 and 24-26! Got that? Mark your calendars. Open houses at all locations run from 1 to 7 p.m. Meanwhile, as noted in a recent post, the Xcel Energy v. ATC fight at FERC continues. 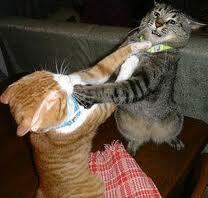 There’s more that’s been filed at the FERC catfight. To see it all, GO HERE TO FERC LIBRARY and search for docket EL12-28. Anyway, the PSC wants to assert its jurisdiction and define “ownership” and how that is established, claiming the state makes that determination of who owns the CPCN and physical transmission, and also citing an instance where there were two applicants for the same project, EH?, and they decided one would own it. And of course ATC had a response to that! Dairyland intervened separately, ?? ?, why not with MISO TOs? Their filing is weird, no DPC generated pdf and the text and FERC pdf don’t work right, so check it out yourself by looking up docket, as above. Coming up next, as was so clear in the Wisconsin CPCN docket (hearing just completed, decision pending), is the LaCrosse-Madison line, completing the TwinCities-Madison line planned in the WIREs Phase II Report which was the subject of Testimony in the Wisconsin proceeding. 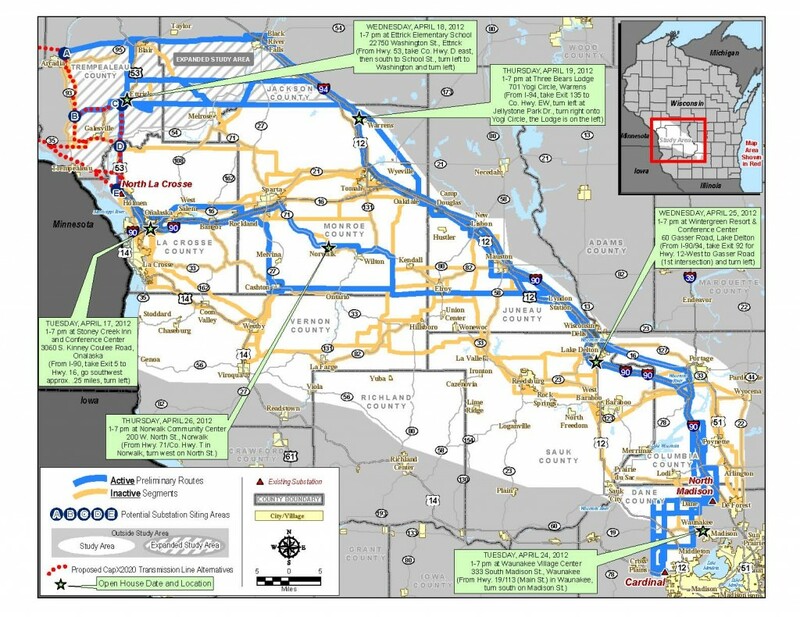 The Minnesota Public Utilities Commission has approved an 80-mile route for a $490 million high-voltage electric transmission line between Hampton and Rochester, including a portion that extends to the Minnesota border near Alma, Wis. The unanimous decision Thursday, April 12, involved a 345-kilovolt line called the Hampton-Rochester-La Crosse project that was proposed by CapX2020, a collection of high-voltage transmission projects across the state that are supported by a group of regional utilities led by Xcel Energy and Great River Energy. The project has been opposed by area landowners and residents who say the project is not needed. 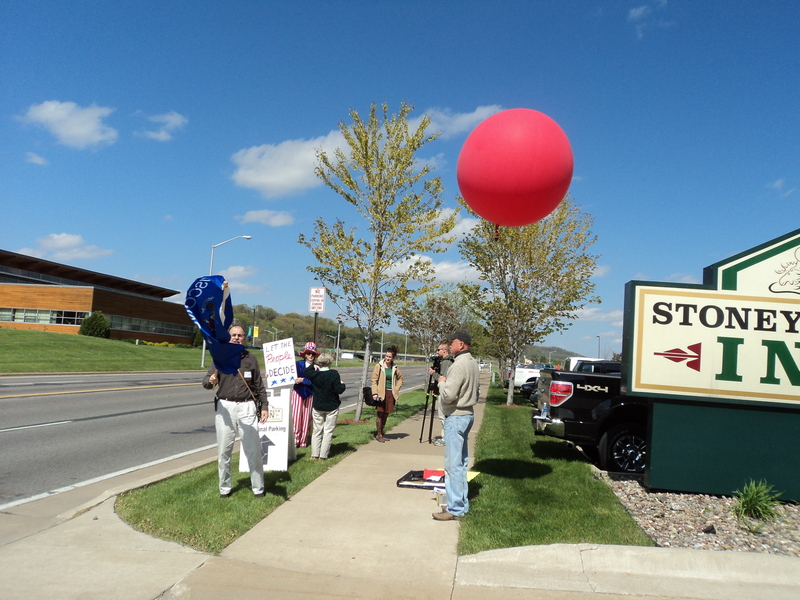 But they were happy that the PUC decision moved a river crossing away from Lake Byllesby Dam, said Carol Overland, an attorney representing the opponents. The route includes Minnesota Highway 52 around Cannon Falls and the Zumbro River crossing at White Bridge Road, Xcel Energy said. Detailed route maps will be posted online at www.capx2020.com, the utility said. The PUC also approved a 35-mile, 161-kilovolt line between a new substation at Pine Island and the Northern Hills Substation northwest of Rochester, Xcel said. The 345-kilovolt line is awaiting permit approval in Wisconsin, which is expected by June 4, Xcel said. 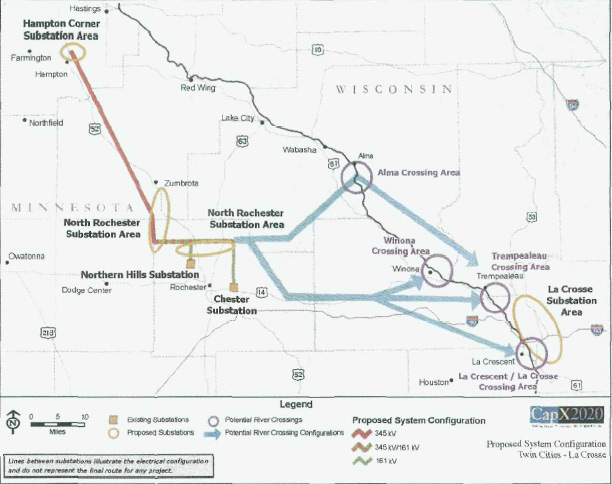 Construction is expected to start in Minnesota early in 2013, and the entire project, including a route in Wisconsin, is expected to be energized in 2015, Xcel said. Going into this decision, there were some weird things hanging that had to be dealt with. The failure to give mailed notice to a property owner, or defects in the notice, does not invalidate the proceedings, provided a bona fide attempt to comply with this subdivision has been made. At the time, NoCapX and U-CAN objected to this, seeing a “Myrick Road” move like in the Brookings-Hampton, when they got caught promoting a route that was clearly not feasible due to the DOT easements and so in the middle of the hearing added the “Myrick Route.” Naughty, naughty, there was no environmental review, notice didn’t go out to landowners until after the hearings, same ol’ same ol’ and it is NOT acceptable. So going into this hearing there were two legitimate choices, the original Hwy. 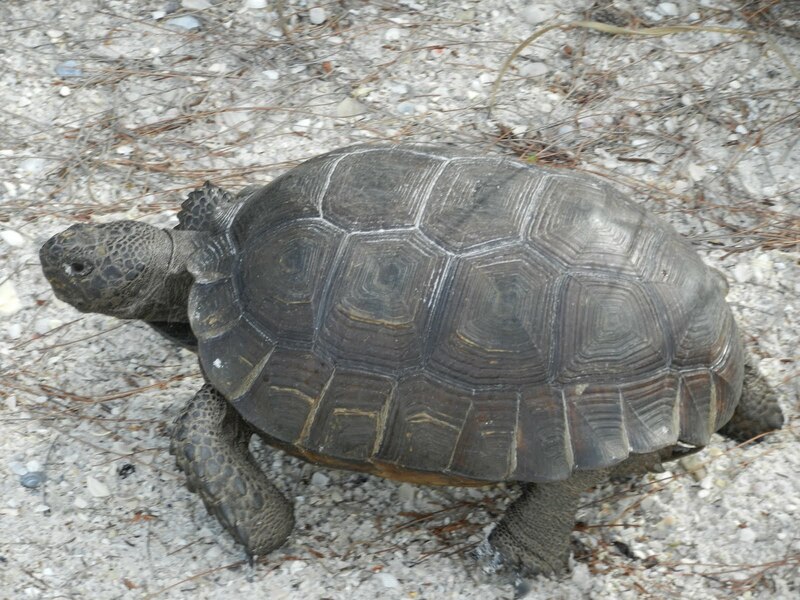 52 route which admittedly is not feasible, or the Harry Avenue Route and over Byllesby dam, which were added in the Task Force process and included in the August 2010 CapX Hampton-LaCrosse (Alma) Scoping Decision and the DEIS and FEIS. Dakota County objected to the route over the Byllesby dam because of its existing Park and plans, and Jim Simon on Harry Avenue hired Rod Krass to object at the PUC meeting (and where have you been all these years, Mr. Simon?). … but wait… READ THE MASTER PLAN! ELECTRICITY IS A BIG PART OF THE PARK!!! 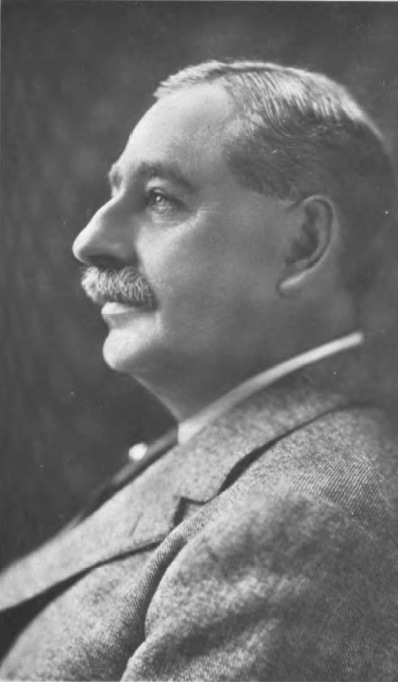 The park is named after Henry Marison Byllesby, who designed the dam! The park is on land donated by Northern States Power to Dakota County (on the north) and Goodhue County (on the south). BYLLESBY DAM. With the increase in the population of Randolph and the subsequent move into the electrical age came the need for power in the homes, businesses, and industries of the Lake Byllesby area. The response to this need was provided by Henry Byllesby, a forerunner in the use of hydroelectric power in America. Byllesby, whose company, Consumers Power Company, was based in Chicago, realized that in directing the power of the rivers of Minnesota, North Dakota, South Dakota, and Wisconsin, he could create the energy needed to sustain the ever-growing populations of these states. One of these rivers was the Cannon River, upon which he had the Ambursen Hydraulic Construction Company construct the Lake Byllesby Dam in 1910. Six years later, he changed the name of his company to Northern States Power Company, recognized today as one of the major providers of power in the midwestern United States. o THEME 4: THE POWER OF ATTRACTION – LAKE BYLLESBY REGIONAL PARK. Though for many years, hydropower was the most economical method of producing power, by the 1960s, larger companies had largely replaced their hydropower plants with coal or nuclear power plants. In replacing many of their hydropower facilities, Northern States Power Company opted to donate much of its property upon which these facilities were situated to the towns or counties encompassing such property. One of these properties was the location of the Lake Byllesby Dam. After the land was donated to Dakota and Goodhue Counties in 1969, Dakota County created Lake Byllesby Regional Park from potions of the land on the north shore of the lake. Lake Byllesby Park attracted residents and visitors alike to picnic, camp, fish, swim, canoe, and simply enjoy the view. Today, both the park and the dam interact to provide a sense of all facets of the area’s history, from natural history, to the history of everyday human interactions, to the engineering history at Lake Byllesby Regional Park. When this late addition was being discussed at the Cannon Falls Public Hearing back last June, with several landowners present who did get notice that day or the day before, or maybe it was during the evidentiary hearing… someone from Commerce requested that the Applicants provide “environmental information” as a “late exhibit” to be included in the EIS, and I’ve just gotten a headache scanning the EIS and cannot find anything. Anyone know anything about that??? I sure can’t find it. That means another trip to Zumbrota to go through the Hearing transcript. There are rules and laws and cases about how to route transmission. In considering a transmission route, the PUC must route using existing transmission and/or highway corridor. If they don’t, they have to have specific findings about why they didn’t! Whatever will they say? There is existing transmission along Harry Ave., across the dam, and south, listed in the FoF, and FOF 301 says there are THREE transmission lines on Harry Avenue! substation located near the hydroelectric dam that creates the Lake Byllesby Reservoir. Not only that, there are ERRORS in the FEIS (see FEIS Map 8.1-26, p. 103). The transmission lines along Harry Avenue are not shown on the Route Descriptions for 1P-001, 1P-002 and 1P-003 FEIS p. 74-76. The transmission line apparently from the dam south to Hwy. 19 is shown on the description for 1P-002, but not along Hwy. 19 east towards Cannon Falls nor is the transmission line shown running northward from the dam to the intersection of Harry Road and 52. FEIS p. 75. It isn’t until after you get south of Hwy. 19 that there is none. And for sure there is no existing corridor on the blue “alternate” or “bypass” route by Hwy. 52. Explain to me how it is that the new and late route skirting around development, going through fields, next to houses is justifiable under Minnesota routing criteria and the policy of non-proliferation?!?!? FOF 433: 3P-Zumbro-N and 3P-Zumbro S cross Zumbro River twice, at the Zumbro Dam and at the eastern end of the line where it parallels Q-3 and crosses the Zumbro again. Fn. 548 Ex. 113, FEIS, at 174, 176. Fn. 549 Ex. 113, FEIS, at 60. How is it wrong? Well, first, there is no “aerial crossing” of the Zumbro River at the Zumbro Dam. The Zumbro Dam Route Option crosses the Zumbro River in a location without existing aerial infrastructure and where impacts to a high quality Maple Basswood forest (Maple Basswood) would occur on the east bank of the river Application, p. 8-55; see also Google Earth files. Second, there is no transmission line crossing the river at the Dam. Applicants also clearly stated that in their application. Because both the Route Option and the Preferred White Bridge Road Route would require some tree clearing in an area characterized by residential and recreational land use, and no existing transmission line crosses the river at these locations, impacts to aesthetics would be similar for both routes. Application, p. 8-53; see also Ex. 35, Google Earth files. The DEIS, at page 171, states that routes 3P-Zumbro-N and 3P-Zumbro-S cross the Zumbro River where there is an existing transmission line crossing. This statement should be corrected to note that there are no existing electrical facilities present at any of the crossings. The north Zumbro River crossing (Alternate Route) crosses the Zumbro River at a location where there is no existing infrastructure. The middle Zumbro River crossing (3P-Zumbro-N and 3P-Zumbro-S) crosses the Zumbro River at an existing dam. The south Zumbro River crossing crosses the Zumbro River at the White Bridge Road bridge. Revised text in Recreational Resources, Section 8.3.4.12 states: No existing electrical facilities are present at any of the crossings. Sure, Commerce corrected that one reference, however, other incorrect language referencing existing transmission crossing is found in the FEIS, on the pages which the ALJ cited in FoF 464.
p. 174: Zumbro Dam Crossing Option – Route alternatives 3P-Zumbro-North and 3P-Zumbro-South would follow the existing crossing of the Zumbro River at the Zumbro Dam and Hydroelectric Generation Facility. p. 176: Route alternatives 3P-Zumbro-N and 3P-Zumbro-S could minimize impacts to the Zumbro River because an existing HVTL already crosses the Zumbro River at this location. Seems that the ALJ relied on these incorrect statements in her selection of the Zumbro Dam crossing, and the record does not support these findings. MR. HILLSTROM: Your Honor, if I may, I could add some background into that route. This was a route that was introduced during scoping, it’s 3P-009, and the route does follow an existing power line. It’s not a 69 kV line, it’s a 38.5 kV line. And while it may function as a transmission line, it’s a very old line that connects up to the hydro plant at the dam. The scale of the line is not one of a transmission line, it is basically a distribution line. Tr. Pine Island June 15, 2011 6:30, p. 56, l. 16. This 38.5 kV line, called a 34.5 Thursday, extends from the west edge of the dam, heading west. It does not cross the dam, and it is not a transmission line in the meaning of Minnesota’s policy of non-proliferation. • p. 155 of FEIS is consistent with Tom Hillstrom’s DEIS Comment that there is no transmission at the Dam Route. fn. 521 FEIS at 174. fn. 522 FEIS at 176.
option. 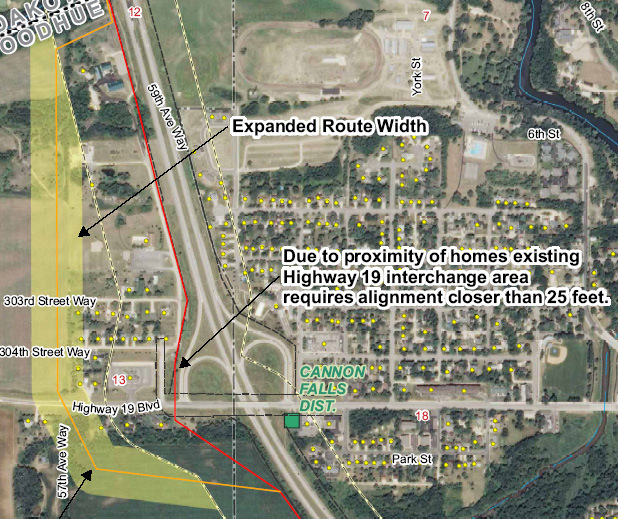 It would impact slightly fewer residences (24 homes, versus 26 on 3P). It would follow an existing transmission line at the dam crossing, and it would not involve a crossing of Lake Zumbro. 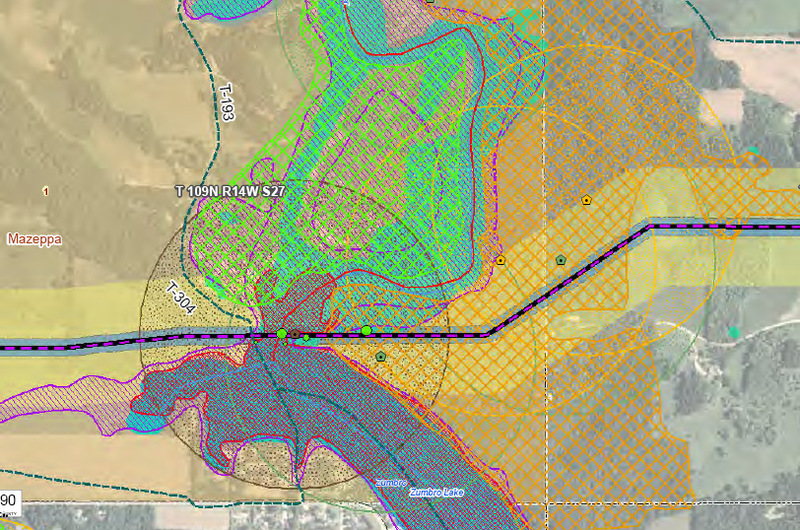 The 3P-004 option would not make the route longer but would minimize impacts to a farm in the area where the line turns north. Judge Sheehy may have confused statements regarding infrastructure present at the Zumbro Dam river crossing with the eastern crossing of the Zumbro where there is Dairyland’s Q-3 transmission line present. Whatever the reason, she was way off base in recommending the Dam route. Whatever their reason for not including information in the Findings of Facts, in the Environmental Impact Statement, the facts in the record, when considered under the Minnesota routing criteria and the policy of non-proliferation, do not support routing transmission over the Dam Route, leaving only the White Bridge Road as a feasible option. And they did not deal with the Chester line in any way… what’s that about? Hampton-Roch-LaX at MN PUC tomorrow! 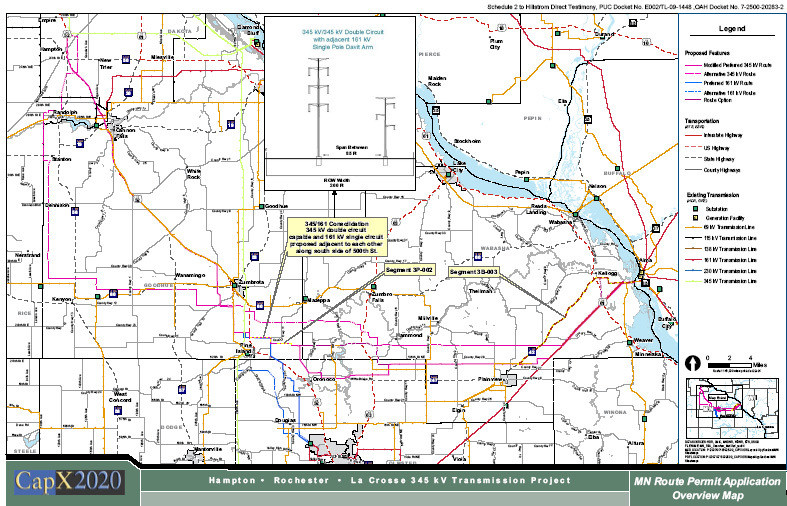 Tomorrow is THE day for the Minnesota side of the CapX 2020 Hampton-Rochester-LaCrosse transmission project. Notice the notice says “North Route Citizens Alliance?” Hello — that was Fargo, and this is Hampton-LaCrosse and it’s the North Route Group NRG)! That’s supposed to have been corrected, we shall see. Yes, it MATTERS!